I modeled it after a fabric wreath I saw on Pinterest (I mean, isn't everything I do lately inspired by Pinterest?) and the flowers are actually just clipped on so they can be exchanged for different holidays/seasons. 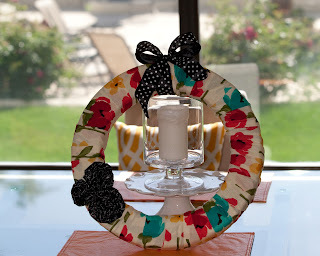 I fashioned another wreath out of a printed fabric that I'm planning on using for summer. 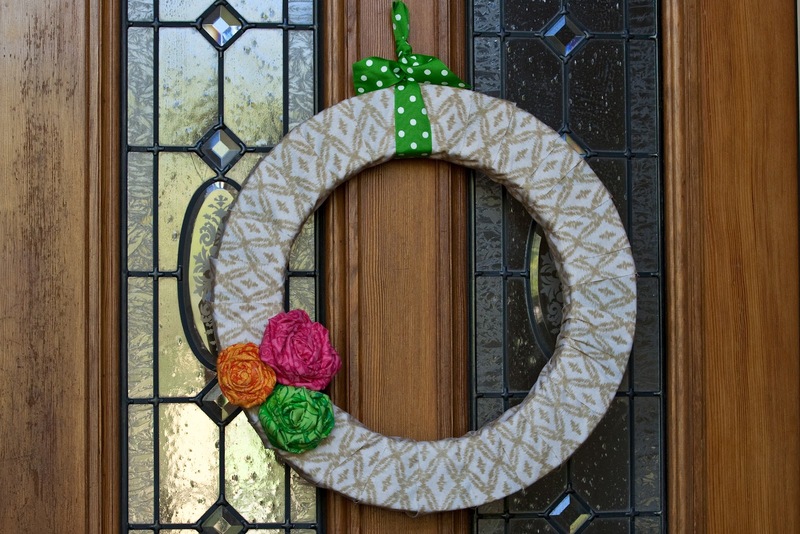 I just love the bright, sunshiny happiness they bring to the front door! LOOOVE that you held a screening - what a cute thing to do and what great decorations!! I LOVE the wreath in the last picture! So pretty! I may have to make one myself for this summer! Thanks for the idea! Hope you have a great day!